Updated on Monday April 8th, 2019 You’re a college student now and that means you’re in the “real world”… including paying your taxes for any income you made last year. Fortunately, TurboTax is once again offering a special deal for students in the United States and Canada who need to file a 2018 tax return here in 2019. Not only is it free to select students, but it’s made specifically to help you get deductions on your school supplies (i.e. textbooks) and tuition fees (up to $1,000 back in education credits!). Plus it’s super easy to do and shouldn’t really take you that long to fill out the details and file your return. Let’s take a look at what each version includes and your costs. If you’re filing your tax return in the United States using TurboTax for Students, you’ll be able to file your federal and state return for free if you only need simple 1040EZ or 1040A forms to file. 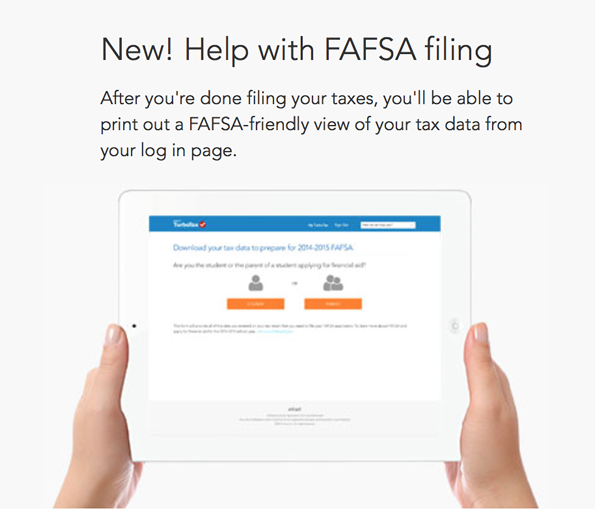 You’ll also be able to claim Earned Income Tax Credit (EITC) for your college related expenses like textbooks and tuition, and once your done, you have to option of printing out a FAFSA-friendly view of your completed tax return. If you’re already investing your savings and earning income from stocks or other investments then, unfortunately, the student version of TurboTax won’t be enough to file your return and you’ll need to upgrade to one of the paid versions of TurboTax. However, you’ll still be able to get $20 off or so your purchase of TurboTax Online if you make it before the April 15th, 2019 tax deadline. The good thing with all TurboTax Online version is that they are free to start; just create a TurboTax account, login, and begin working on your return. The software will automatically ask you to upgrade if you’ll need the extra forms or features – Then just pay at the end when your return is completed and you’re all ready to file. The TurboTax student edition in Canada is also free if you you paid tuition for all or part of 2018 and your total household income that you claim on your tax return is less than $20,000. If you’re already working a part-time job and making more than $20,000/year, then your cost is only $17.99 to file with TurboTax. The Canadian student version is specifically made to handle your student related expenses. For the 2018 tax year, you’ll be able to claim up to $400/month in tuition (up to $4800/year), $65/month back on textbooks, claim moving expenses if your college is 40km or more away from home, and even deduct public transport used to go to school. If you used TurboTax or UFile last year, you’ll also be able to save time imputing data as the program automatically transfers all of your needed 2017 tax data. Once you’re done, you have the option to NETFILE while will speed up the refund process, helping you get it in as little as 8 days after filing. Then you’re not alone. Both the U.S. and Canadian versions of TurboTax offer a mix of online, chat, in-product and phone support which you can find here (for U.S. residents) and here (for Canadian residents). Just remember that getting help by phone usually takes a while to get through so be prepared to wait if you go through this route (and don’t wait until the last day to file to get some support). Good luck! Hi Im a student and need the service code to file my taxes to get a discount, can you help me with that. Im running out of time to file. Email me the service code for students, thank you. No Service Code is needed – Just go through the correct link above that takes you to the student tax page at TurboTax (choose either the US or Canadian option depending on where you live). Historically, TurboTax is known for teaming up with some of the top banks across the country to provide extra savings and perks for their customers. Be sure to check out your Bank of America, Chase, Citi, Capital One, or your other favorite financial institution to see if they are offering anything special this year. You may be able to save even more either by using your partner credit card at purchase or by picking up a copy of TurboTax for 2019 directly through them.